Olly Wilson, an adventurous composer who integrated African, African-American and electronic rhythms, riffs and sounds into Western classical music conventions, died on March 12 in Oakland, Calif. He was 80. His daughter, Dawn Wilson, said the cause was complications of dementia. Mr. Wilson, a longtime professor at the University of California, Berkeley, grew up listening to jazz and spirituals. He studied African music in Ghana under one of his two Guggenheim Fellowships, opened an electronic music studio at the Conservatory of Music at Oberlin College in Ohio, where he had formerly taught, and wrote academic papers, including a major essay on the art of black music. In his composition “Sometimes,” Mr. Wilson used the call-and-response tradition of African-American churchgoers to create a dialogue between a tenor singing “Sometimes I Feel Like a Motherless Child” and a tape that included a distorted recording of that sorrowful spiritual. 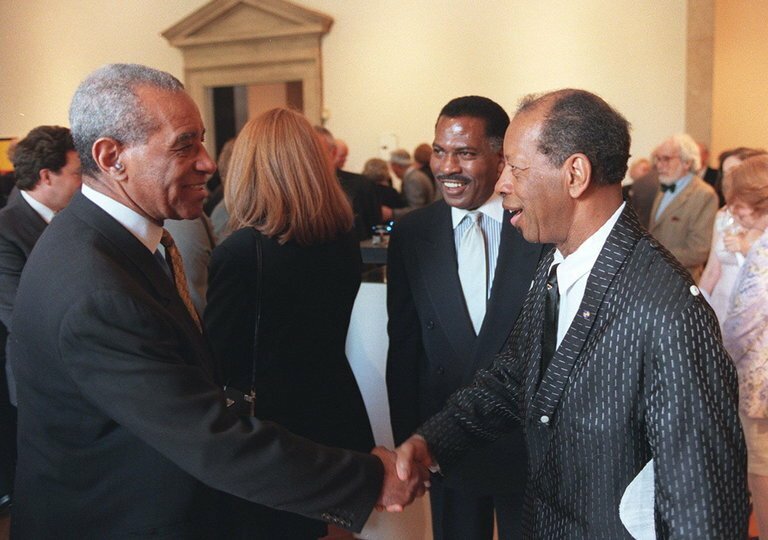 Mr. Wilson, whose music was played by orchestras around the world, aligned himself with an African-American musical heritage that includes Frank Johnson, a 19th-century bugler, bandleader and composer; Harry Burleigh, a composer and baritone soloist; and the contemporary composer T. J. Anderson. His other influences, he said, ranged from Igor Stravinsky and Edgard Varèse to Charlie Parker and Miles Davis. “Music is experience consciously transformed, and because my experience has been an African-American experience, I think it expresses that,” he told Bruce Duffie, a radio producer and interviewer in 1997, when asked if he were conveying African-American ideas in his pieces. Olly Woodrow Wilson Jr. was born in St. Louis on Sept. 7, 1937. His father was a butler and a cook; his mother, the former Alma Grace Peoples, was a domestic. Theirs was the second African-American family in their neighborhood.